It’s a dog day in Central Park Downtown Winter Haven! 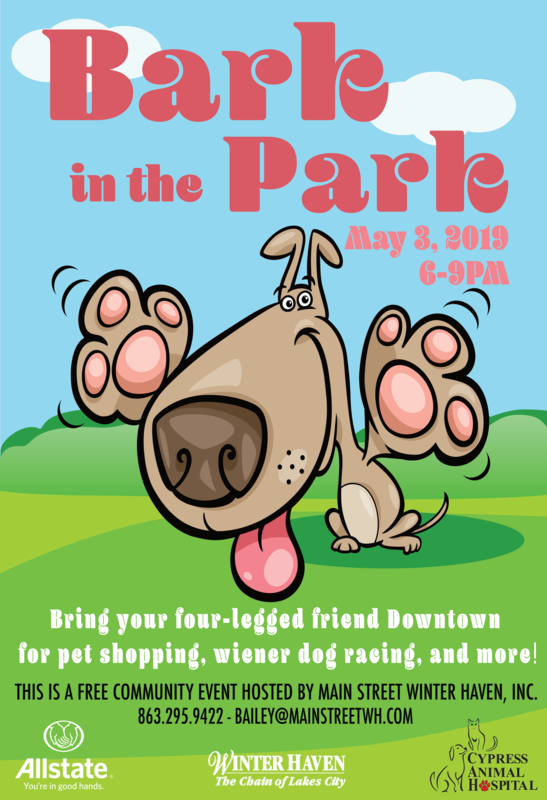 Spend your FREE Friday night shopping pet vendors, listening to music, and enjoying time with your favorite four-legged friends. Annual wiener dog race at 7PM. See you there!